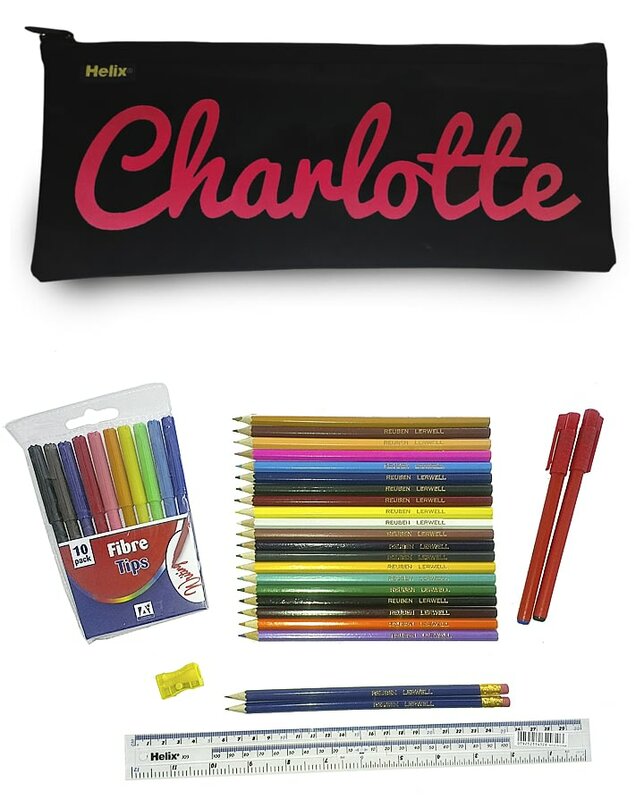 This personalised pencil case is printed with any name and comes packed with useful goodies. 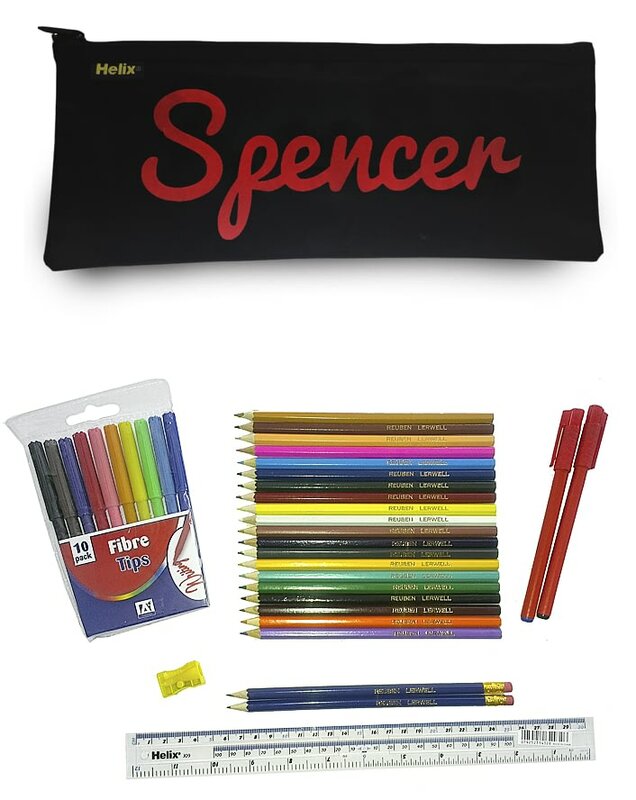 Perfect for school, this set includes 20 personalised colouring pencils, 2 personalised HB pencils, along with a colourful set of felt tips, a 30cm ruler, 2 pens, and a pencil sharpener. This bumper pack of quality stationery will be the envy of every classroom and help prepare a child for academic success. This colourful shark pencil case is a natural light oatmeal colour with a padded inside. This fun pencil case is a natural light oatmeal colour with a padded inside.